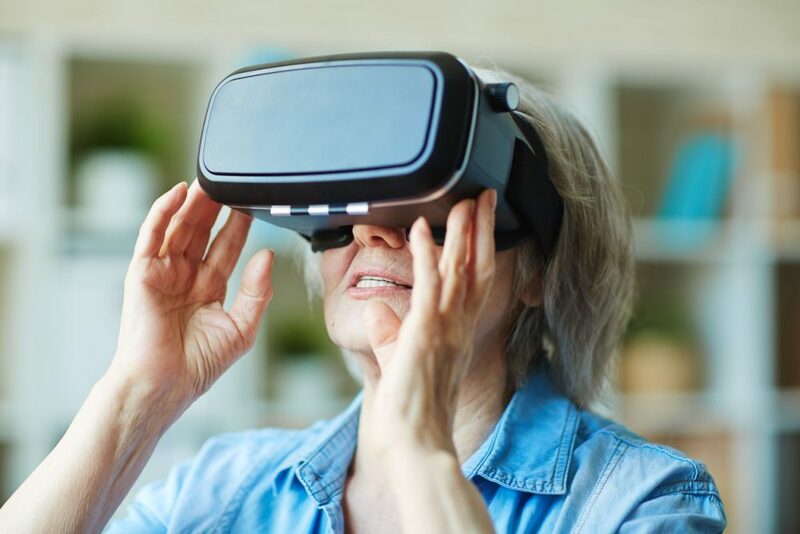 In this blog, neuropsychologist Marta Bieńkiewicz explores the potential of virtual reality to help people with Parkinson’s disease, and after stroke, and looks at the evidence from Cochrane reviews. By 2020 it is estimated that there will be 120 million active users of Virtual Reality (VR) via mobile headsets; nearly a fifth of whom will be using it for healthcare solutions (ABI report, 2015). The hype about VR is currently reaching fever pitch, thanks mostly to the increased accessibility of it for the average Joe (via solutions such as smartphones add-ons spectacles). All over the globe VR setups are being tested and investigated as a novel means of enabling more fun and efficient physical exercise as part of rehabilitation. But is all the money that goes into research and development for this technology justifiable? Could it be better spent – for example on training more therapists or providing activity groups for patients? In an attempt to answer this question, let’s walk through some facts to get a better picture as to what VR is and what it might hold for people with stroke and Parkinson’s disease (PD). My first exposure to VR was during my PhD days. My future husband (as it turned out 5 years later) was doing his doctorate on the non-clinical applications of what was, at the time, a technology in its infancy. In the simplest of definitions, VR is a computer designed environment that can be displayed in a headset glasses or a cave (special room) to create a feeling of full immersion that you are somewhere else; completely detached from the real world yet fully engaged with the virtual world. The high immersion display might trick you into thinking you are on a tennis court playing a game at Wimbledon for example. The low immersion VR environments comprise computer displays – usually tablets or regular screens. In this case you can still enjoy a game or follow on-screen instructions, but your brain keeps check of its whereabouts. So, the main concept behind VR-based rehabilitation games is twofold. Firstly, they provide a clear, visual means of prompting users’ movements (i.e. in the example of picking up an apple, the user might be guided toward it). Secondly, they increase the personal motivation of the user. The higher the engagement with the environment and varied scenarios, the higher the enjoyment and willingness to repeat the same exercise all over again (Lewis & Rosie, 2012). A Cochrane review (French et al. 2016) reported that repetitive training may improve walking distance and is probably effective for improving upper limb rehabilitation. 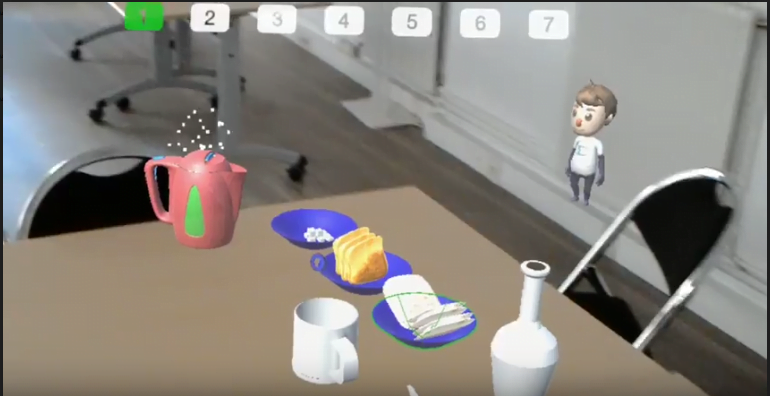 For a fantastic example of how this field is moving forward see the KATA project based at John Hopkins University which uses a combination of VR (Pixar like!) display with robotic-assisted therapy for stroke. Stroke and Parkinson’s disease are two different neurological conditions. The first one happens suddenly and changes mobility overnight, which may mean changing from being a fully active person to being limited in one’s independence. The second is characterised by gradual and sneaky progression of compromised mobility. Either condition may make everyday life increasingly a real struggle. When it is not easy to get dressed, the idea of doing physical exercise seems totally unattainable. People find themselves not being able to do the tasks they previously took for granted – preparing a sandwich, driving a car, or simply going out of the house, and now add to it catching up with the modern technology. If you are a sufferer, these two aspects might discourage you from reading on – exercise and VR sounds too hard to even bother! But here is the thing. While guidelines on how to improve mobility in neurological conditions are scarce, the ones that are there (Keus et al., 2014) suggest that the power of exercise might help. Studies suggests that intense exercise in Parkinson’s may slow down the progression of the disease due to neuroprotective benefits (Alberts et al., 2016, Corcos et al., 2013) and help maintain independence (van Nimwegen, 2011). After stroke, physiotherapy is usually started straight away or during the hospitalisation period. In fact, many research teams are convinced that the time window for the real functional recovery of lost limb power (i.e. regaining the previous dexterity) is quite short and is limited to 6 months post accident or shorter (Cortes et al., 2017). This is the window of opportunity for brain reorganisation, after which improvement is maybe not impossible, but certainly more challenging. Depending on patients’ needs, exercise should target general mobility, dexterity, walking, or specific daily activities. There are exercise-based interventions in particular that were reported to show improvement in people with Parkinson’s Disease: such as tandem or automated stationary cycling (Ridgiel et al., 2015) and pole-striding (Bombieri et al., 2017; Krishnamurthi et al., 2017), and for stroke: physical rehabilitation (Pollock et al., 2014) or robot-assisted interventions (Mehrholz et al., 2015, 2017). In both conditions, it is thought to be important to start as soon as possible and introduce exercise regime as a regular part of daily life. For people with PD or after stroke who are keen to become more fit and actively steer their rehabilitation, VR could be their new best friend. Does virtual reality offer real life benefits? The Cochrane review of VR (Dockx et al., 2016) and gaming for Parkinson’s, with a focus on walking and balance, provides us with evidence that VR based training may lead to better improvements for stride length, but overall may have similar effects on walking parameters and balance as conventional therapy, while the effect on quality of life is uncertain. The upper limb interventions were not included. On the contrary, the Cochrane review of VR in stroke focused interventions (Laver et al., 2017) was primarily focused on upper limb function and found that VR based interventions may lead to greater improvements in daily task performance compared to conventional therapy. It is not clear how long-lasting those effects are, nor which characteristics are the most meaningful for patients’ recovery. Quality of life, upper limb function, and gait speed remained on level par. Compared to usual care alone, adding virtual therapy to usual care tended to result in greater improvements in upper limb function and slightly greater improvements in managing daily activities. However, gait speed and global motor functioning remained on par, and effects on quality of life were not reported in these studies. The information was insufficient to look into other dimensions such as cognitive functioning. So what does this all mean? The interventions using VR were overall found to be probably similar to the conventional therapies, but with some benefits when added to usual care. They also have the potential added value in the form of accurate feedback and the ability to stimulate users by creating personalised, motivational and fun interventions (Dockx et al., 2016, Laver et al., 2017). If more evidence is found to confirm those findings, it would mean VR can be potentially be as good as a supervised therapy, which is great news. Why? Because it means you can bring it home. Let’s make it clear, this is not an overnight take-over of conventional therapy. VR and gaming solutions have the potential to provide a similar level of care to traditional exercise-based therapy, without having to replace it. At least for the next decades, think of it as a potential complementary therapy subsidised by the NHS or private insurance: part of a medical treatment that would encourage patients to do meaningful exercise in between the supervised physiotherapy sessions. Conversely, VR-based exercise units in hospitals could train patients in daily tasks, emulating their home environment. Beyond that, the technology is simply not mature enough to match that of a human eye and brain in terms of assessment and choice of best treatment. However, with Artificial Intelligence looming on the distant horizon, this is not beyond the realms of possibility…some day. Tread carefully though when it comes to any products or apps that are advertised as a rehabilitation tool on the consumer market. In order for it to be a relevant training tool it needs to be paired with sensors (attached to your body or embedded in a special clothing) in order to provide feedback. The future however, might lie in a newly born sister of VR, namely Extended Reality (ER). 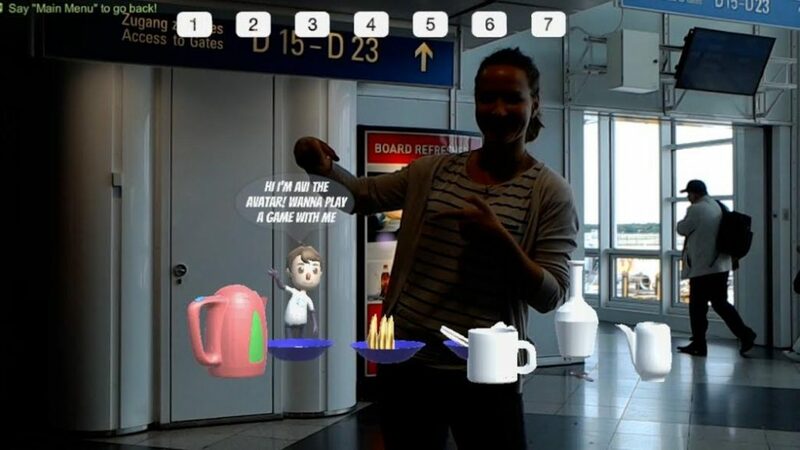 This technology is also based on wearable headsets (such as Hololens) but allows the user to be immersed in the virtual reality while seeing the physical environment. The idea is that the juxtaposed feedback information is relevant and not interruptive for your current activity (e.g. walking a dog). It is also a safer mode of exercise as it does not require being detached from one’s surroundings despite a high level of immersion in the virtual environment/of immersion. At least four labs so far have been investigating this idea for stroke and Parkinson’s (Technical University of Munich, University of Rochester, University of Connecticut and Northeastern University). Along with ER developments, the level of immersion and therefore enjoyment can be increased with the sound spatialisation and touch sensation (i.e. Ultrahaptics). One could easily imagine that ER opens new horizons for combining a very accurate feedback tool with, for example, robotic therapy. Hopefully the next years will bring answers to questions such as the level of transferability of VR/ER training into real life skills. Further research is necessary to inform tailored technology-based exercise regimes and to clarify whether or not rehabilitation with limited supervision is a feasible model. While certainly the technological development in the current era is both exciting and a little daunting, it brings solutions that were not previously available at such affordable cost. VR essentially offers a therapy that is likely to become almost as good as conventional therapy from within the comforts of your own home. VR and gaming can be fun, can provide excitement of immersion and prevent boredom while also achieving exercise goals for task-specific rehabilitation. While current solutions are not yet up to the ‘buy now’ level, this area should definitely make your watchlist. Marta Bieńkiewicz has nothing to disclose. Editor’s note: the review on virtual reality for stroke rehabilitation (Lavis, 2017) was updated in November 2017, with the addition of 35 studies and a change to the conclusions. The blog has been revised to reflect this. Nice article giving a lot insight about VR /ER can help . Looking forward to touch base with you .